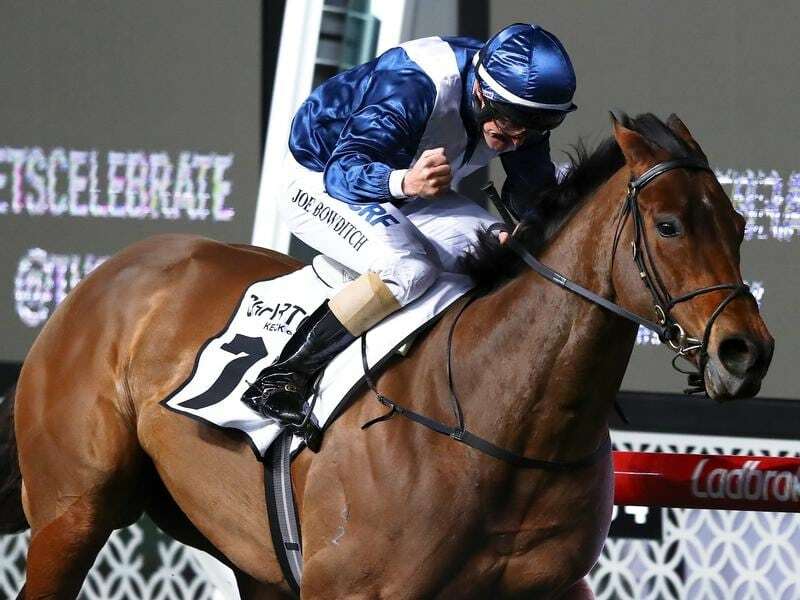 Dual Group One winner Viddora has landed a berth in The Everest and will run for Damion Flower and Neil Werrett in the $13 million race. The group headed by Flower and Werrett found themselves without a runner when English was withdrawn by her owners the Kelly family after a less than satisfactory race day jump-out on Monday. Viddora added Friday night’s Moir Stakes at Moonee Valley to her Group One Winterbottom Stakes win to put herself in the frame for the Everest on October 13 at Randwick. Her trainer Lloyd Kennewell has been outspoken in his resolve he would do the best deal he could for the owners of the mare. The Australian Turf Club is expected to announce a Godolphin horse as its representative on Wednesday, most likely Home Of The Brave. The ATC was left without its chosen runner, Nature Strip, when the four-year-old failed in the Moir. Viddora firmed from $15 to $11 with the TAB after Tuesday night’s confirmation she would run.